If you've been a reader of fashion-train for a long time now you'll know that Urban Decay is one of my all-time favourite make-up brands (if not) my all-time favourite make-up brand. 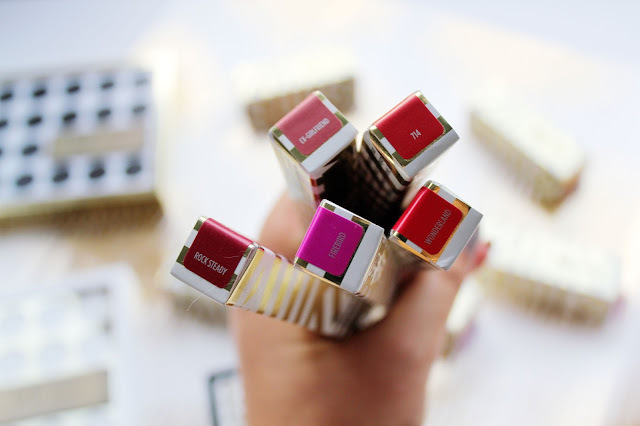 I've never tried an Urban Decay product I haven't loved. 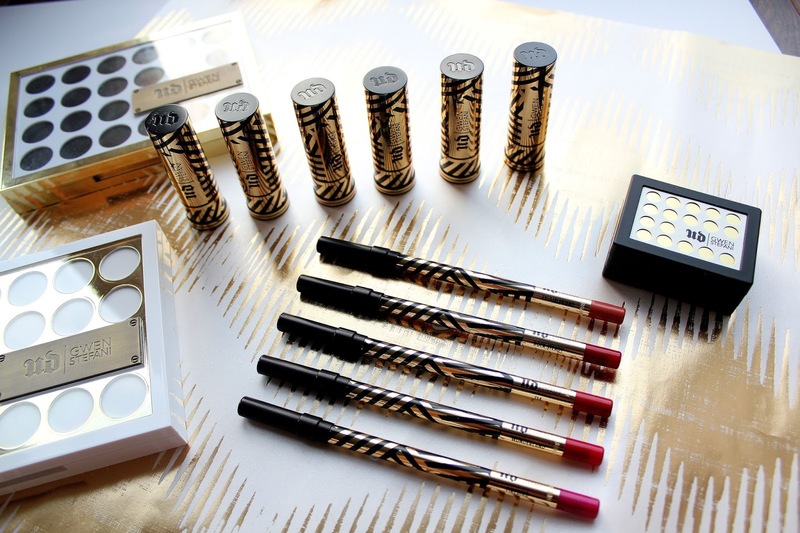 Gwen Stefani collaborating with Urban Decay was one of the biggest beauty launches toward the end of last year. 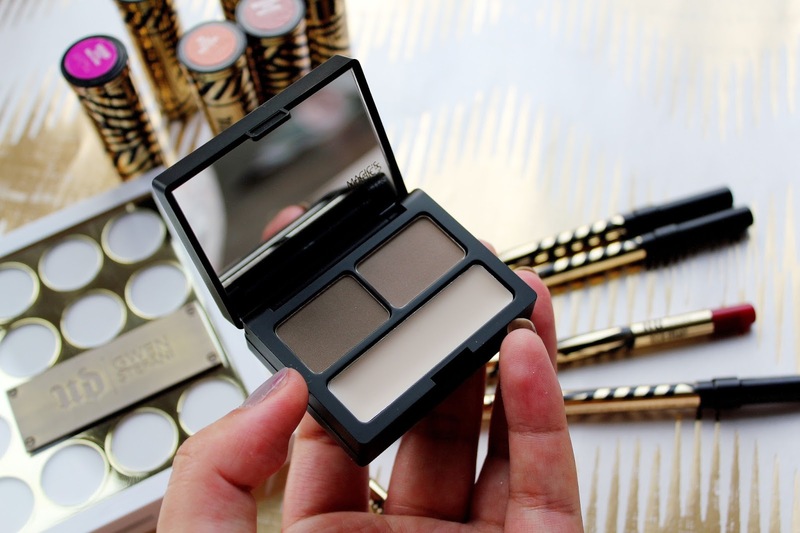 The first item from the range which was released was the eyeshadow palette (you can check out the review in this post) which you can pick up for £40 here. 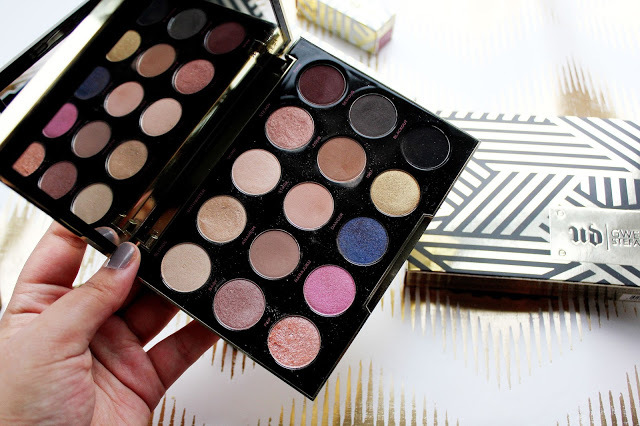 Urban Decay x Gwen Stefani Eyeshadow Palette Since adding this palette to my collection in November I have used this pretty much everyday. When I first used this palette I was slightly sceptical as there's a bright pink and blue in this palette but 90% of the eyeshadows are perfect for creating day-time and night-time looks. You can check out my full review of this palette here. 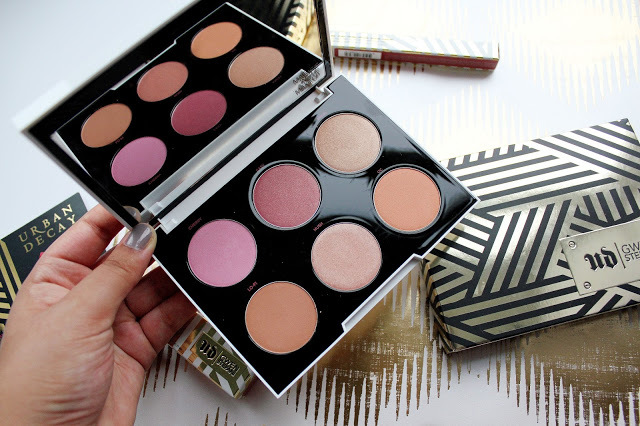 Urban Decay x Gwen Stefani Blush and Cheek Palette When I first tried out this palette a couple of weeks ago (you can check out the post here) I wasn't very keen on using it. After giving this palette a couple more tries I now absolutely love using the shades Angel and Hush. I find Angel works well for a highlight shade and that Hush is great for a slight hint of blush. I still think that this palette is better suited to lighter skin tones but I've still made some good use of it! Urban Decay x Gwen Stefani Brow Box I think the idea of this brow box is so good. 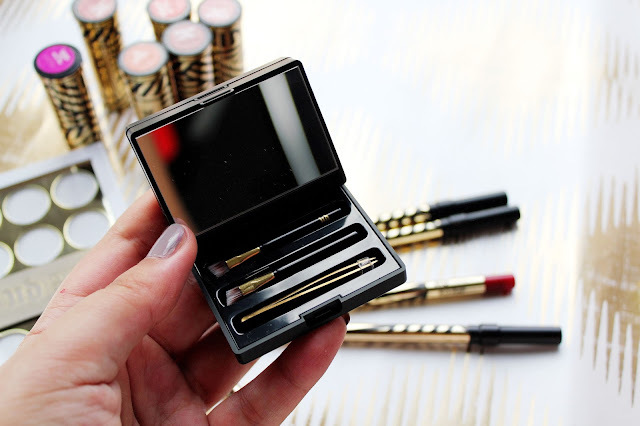 I am always loosing tweezer and trying to find a brush to handle my brows so it's great that in this box they're all in the same place. 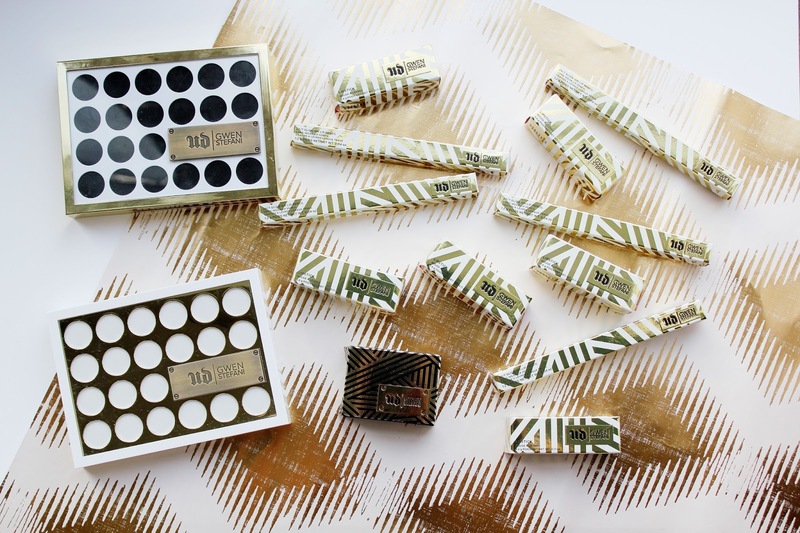 This box includes a wax and two brow shades which is versatile for both brown and blonde hair colours. I've used the shade on the left for my brows and it's worked well. This is a great product for being on the go and also for getting rid of those last minute hairs underneath your brows. 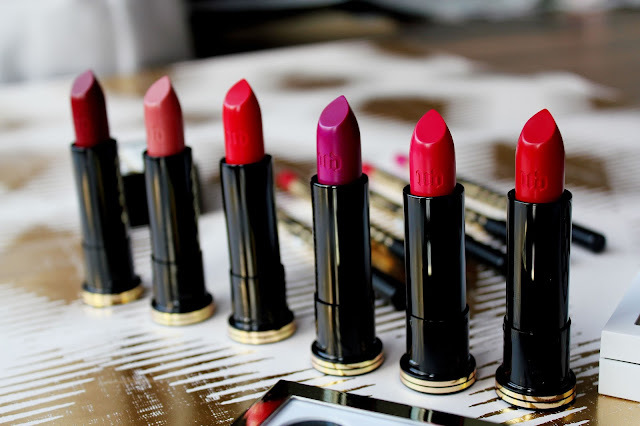 Lastly in the Gwen Stefani collection are 6 lipsticks. 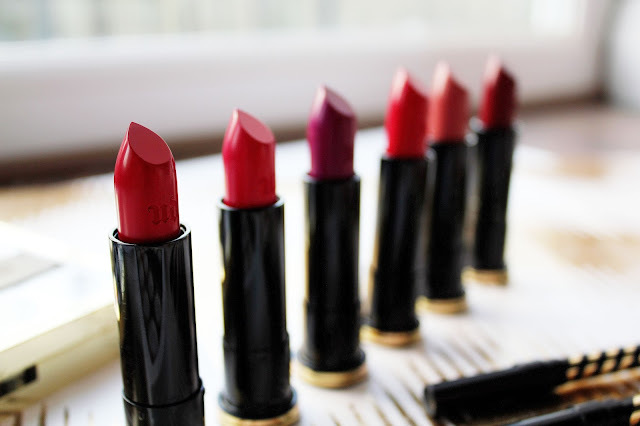 As you'd probably expect pretty much all of them are different shades of red as Gwen is never seen without a red lipstick on. 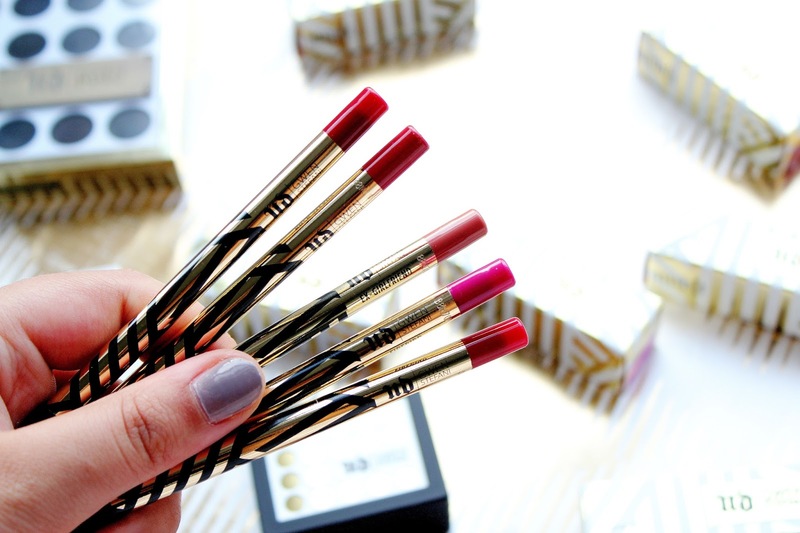 What I really like about these lipsticks is that with the lip liners they are extremely long wearing. 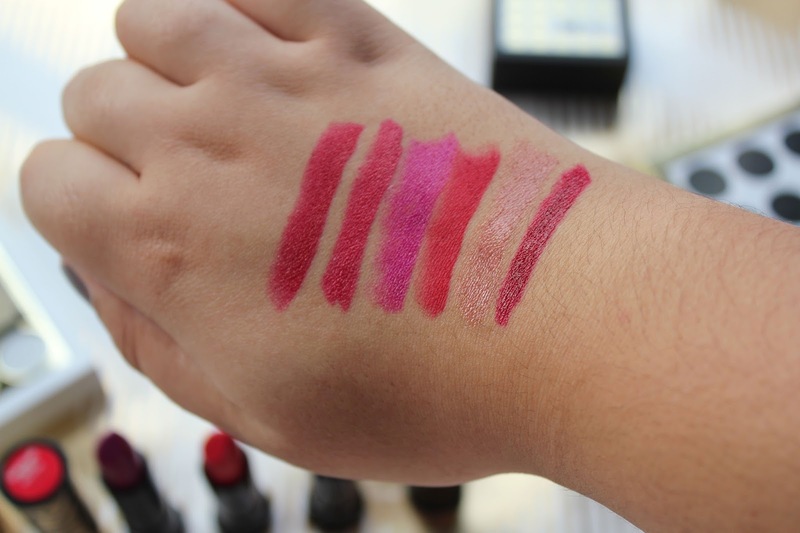 My favourite shades to use are Ex-Girlfriend and Rock Steady but I am really liking Wonderland too! I'm super pale and I struggle finding colours that don't wash me out, so these sound great for me! I would love to try some of the lipsticks too, the formula looks lovely and Gwen is definitely the queen of the red lip. The eye shadow palette looks amazing! I would really love to try that one! This range looks amazing. I'd buy for the packaging alone. I definitely have to get myself a lipstick and liner combo. It's so handy that they match. 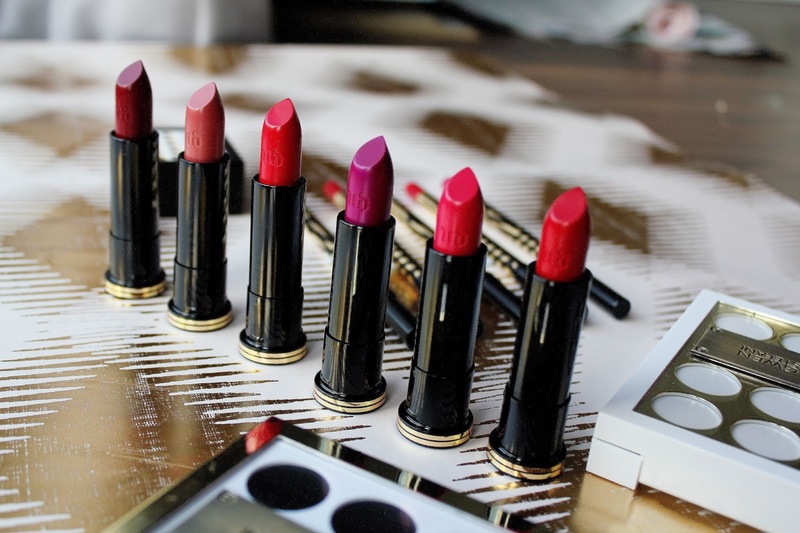 I really want to try something from this range, those lipsticks look beautiful!